If you like this free game, try Brink of Consciousness: The Lonely Hearts Murders. Sam is a reporter investigating a series of strange disappearances by the local townspeople. While on the case, it become personal when his beloved Anna goes missing. Afterwards, he receives a taunting message from a man only know as Oscar who dares him to visit Goldvale Manor and try to rescue her. Enter Goldvale Manor and help Sam rescue Anna before Oscar completely loses his mind. Search the halls and rooms to locate helpful objects and solve maniacal puzzles. Beware however, because the madman has many traps waiting for you. Will you save Anna? Will you discover the reason behind Oscar's treachery? Will you make it out alive? 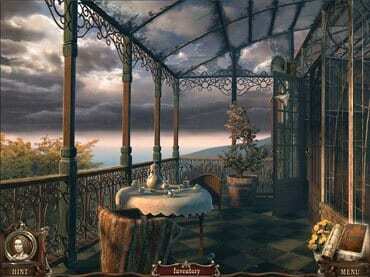 Download free full version now and explore gorgeous locations and solve tricky puzzles in Brink of Consciousness: Dorian Gray Syndrome Features: - Explore the halls of Goldvale Manor with dangerous traps around every turn; - Solve maniacal puzzles to escape the madman; - Search the halls and rooms to locate helpful objects; - Rescue Anna from a lunatic in this chilling Hidden Object encounter; - This title is intended for mature audiences. If you have questions about Brink of Consciousness: Dorian Gray Syndrome game, please contact us using this form.